Giant clouds of molecules in space provide the gain material for astrophysical masers, emitting microwave radiation by stimulated emission. These bright sources can be used to determine extragalactic distances and black hole masses. 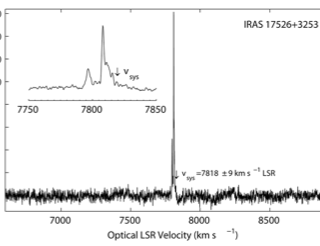 This paper reports on a search for new extragalactic water masers with the Very Long Baseline Array, and reports on the discovery of four sources in 37 objects searched. In this paper the authors present simulations of a model to explain rapidly-fading supernovae, a class of transients whose lightcurves decline quickly without substantial radioactive tails. They posits a standard core-collapse explosion of a standard Type Ib/Ic supernova progenitor, but one that produces very little radioactivity and instead exhibits a light curve governed by oxygen recombination. 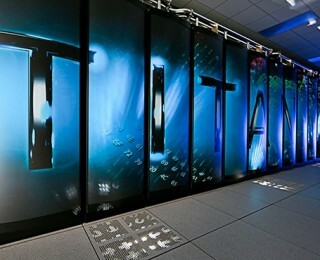 Computational physicists are already looking to the next milestone on the horizon: exascale computing, or supercomputers whose performance peaks in the exaflop range. But we need to get a lot better at parallelization before we can successfully compute at the exascale level. 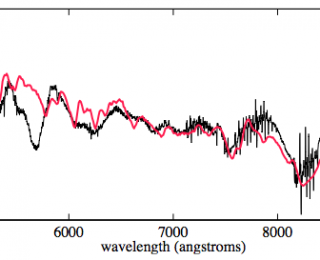 In 2010 the Fermi-LAT reported a surprising discovery: detection of a gamma ray transient that appeared to come from a nova, V407 Cyg. 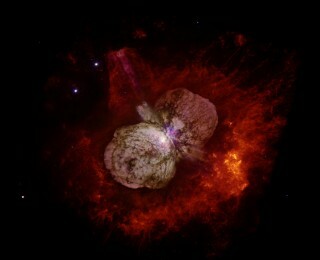 Since V407 Cyg is a special type of nova, however, it was considered a one-off event. 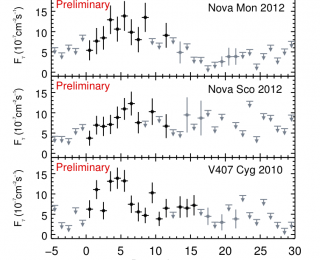 Now two other classical novae have also been found in gamma rays. SN2009ip: Dead or Just Resting? When the supernova impostor SN2009ip brightened to a V-band absolute magnitude of -17.7 near the end of 2012, the outburst was classified as a Type IIn supernova and many observers thought the star had finally exploded for good. In this paper, however, the authors present several months of multiband imaging of transient 2012b and argue that the low limit on the nickel mass and lack of most heavy elements in the ejecta suggest the progenitor is still around, and that transient 2012b was produced instead by the collision of two massive shells, possibly ejected by the pulsational pair instability.